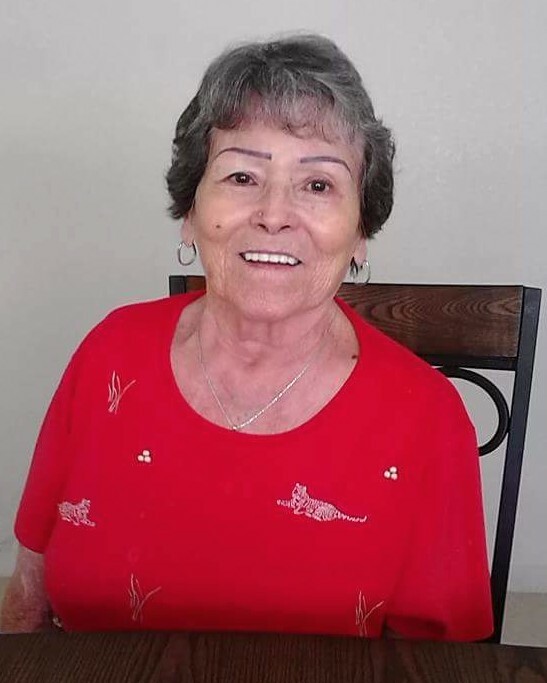 Altagracia S. Segura, 82, passed peacefully from this life on August 23, 2018. She was born in Salamanca, Guanajuato, Mexico on January 6, 1936 to Luciano Sierra and Dolores Perez Sierra. She was retired, having worked for Levi Strauss and Company for 17 years. Altagracia was a member of St. Benedict Catholic Church. She was a loving and caring person. She loved to sing, listen to music, and watch her favorite novelas. She especially enjoyed visiting with Rosa, her sister, on weekends. Altagracia was preceded in death by her parents, Luciano and Dolores Sierra; husband, Antonio M. Segura; sisters, Agustina S. Cuellar, Socorro S. Carranza; brother, Carlos Perez Sierra. She is survived by her daughter, Linda Segura-Guerra; grandchildren, Roger and Rigo Guerra; sisters, Cecilia (Santos) Barrientos, Margarita (Salome, Jr.) Martinez, Rosa (Evaristo+) Moreno; brothers, Pedro (Gloria+) Sierra, Gregorio (Lupe) Sierra; cousin, Pime (Guadalupe) Gonzalez; numerous nieces and nephews. Altagracia’s family will be receiving friends and family on Sunday, August 26, 2018 from 1:00 to 9:00 PM with the a recitation of the Holy Rosary beginning at 7:00 PM at San Benito Funeral Home. A Mass of Christian Burial will be celebrated on Monday, August 27, 2018 at 10:00 AM at St. Benedict Catholic Church. Following the funeral mass, Altagracia will be laid to rest at Mont Meta Memorial Park. Honored to serve as pallbearers are Salome Martinez, III, Guadalupe (Lupe) Ramirez, Victor Gomez, Hugo Carranza, Carlos De La Fuente, and Santos Barrientos.